Union Home Minister Rajnath Singh will visit poll-bound Meghalaya on December 7 to meet booth-level BJP workers, party officials said. 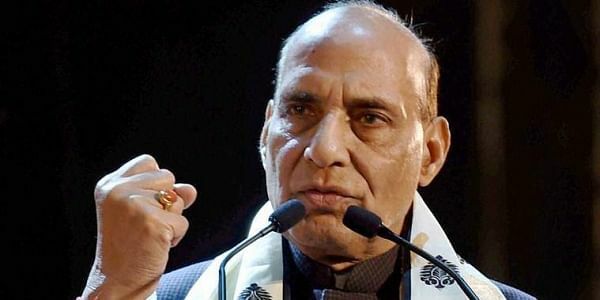 SHILLONG: Union Home Minister Rajnath Singh will visit poll-bound Meghalaya on December 7 to meet booth-level BJP workers, party officials said. Singh will also inaugurate a party office in the state. "The Union home minister will address about 3,000 party workers at the booth-level 'karyakarta sammelan' covering assembly constituencies of East Khasi Hills, Ri Bhoi, West Khasi Hills and Shillong City," BJP state president Shibun Lyngdoh told PTI. The state BJP, which is gearing up to contest in all 60 seats in the state, is also preparing the visit of its national president Amit Shah and other top party functionaries this year, Lyngdoh said.